Oh, Shirley, I credit you with my desire to be in Greece! Wednesday’s departure from Turkey left me with mixed emotions. Our time in Turkey was quite wonderful overall, and we had started to become more familiar with some of the customs and travel processes involved in being there. But there was a clear draw for both Thomas and I to move onto another country and experience a different culture. And going to Greece has been a dream of mine since I saw the film Shirley Valentine (go ahead and watch it if you have a spare 90 minutes) some 25 years ago: “I want to drink wine by the sea in the country in which the grapes were grown” said Shirley. So, with my 80s film reference in mind, we took a 90 minute ferry ride from Marmaris, Turkey, to Rhodes, a pretty easy Greek island to jump to from Turkey. 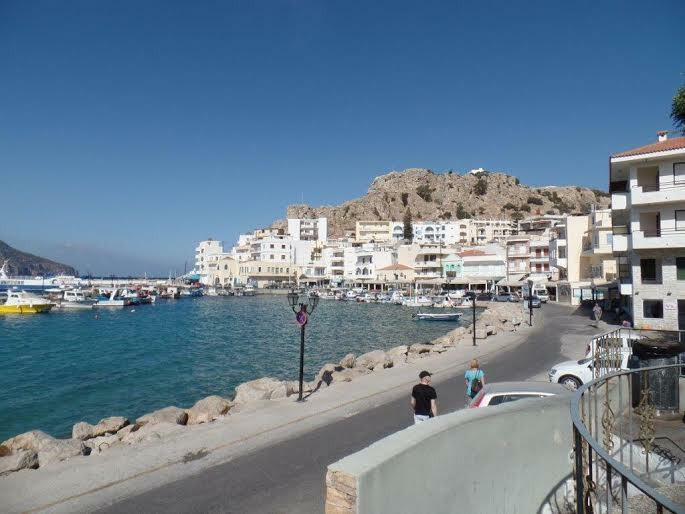 We stayed on Rhodes (in Rodos Town, the largest city on the island) only one night as our goal was to be on a less populated island. After consulting our Lonely Planet guide, we decided to go to Karpathos, a much smaller island that is a 40 minute flight from Rhodes. Karpathos, with its white washed buildings, cobblestone streets, and bright blue skies and seas has, so far, been exactly what I hoped for. Last night I was practically Shirley Valentine as I raised my glass of Greek white wine to the sky and smiled! 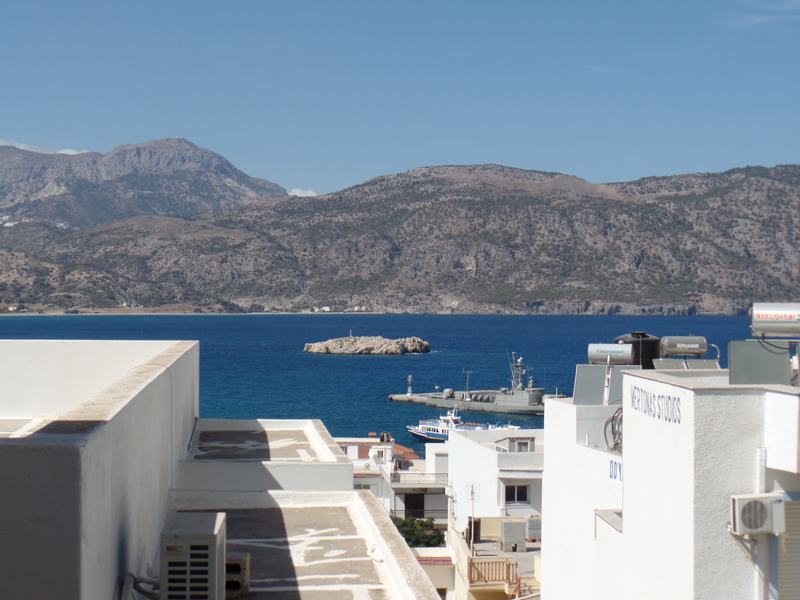 Given how perfect it seems so far, we are considering staying on Karpathos for a longer stretch of days than we are accustomed to–maybe even a full week. We have rented a car for ease of exploration over the time we are here. 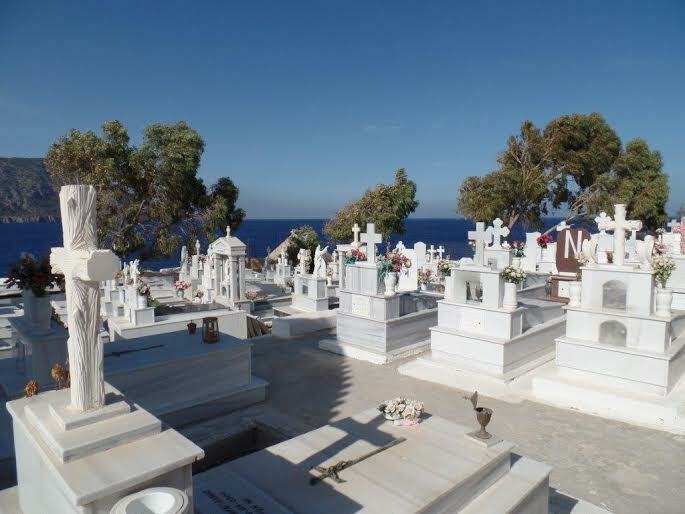 Yesterday’s highlights were wandering through town of Pigadia (the village we are staying in) and discovering a local cemetery, walking along the waterfront, and making dinner for ourselves in our flat, which has a cooktop, dishes, coffee maker and refrigerator–an actual kitchen! Hooray! Today we plan to visit some of the beaches of Karpathos in order to swim and soak up the Greek-ness of this place. ← Ephesus: Going waaaaaay back. Sounds absolutely wonderful. Thanks for including pictures. As you might guess, the weather is now turning cooler and the daylight slipping away. You have picked a wonderful time of year yo travel.